You just arrived at your house, you inserted the key and turned it to unlock the door, but the key broke inside the cylinder. You have finished your work, ran to your car and insert the key to unlock the door of your car. But only the head of the key left in your hand, while the blade of the key is broke off the ignition lock. It can happen to anyone and everywhere in the car, at home, or in the office. Perhaps you have reached this page because chances are that you broke your keys previously, or you found a tiny crack on your key. If so, you have found the best solution for your problem, because LockTech24/7 Locksmiths can help. When you are at the middle of a broken key extraction incident, simply call us, as soon as possible. We are experts in what we do, and provide key extraction services for all types of locks. Including automotive keys, home keys, and business keys. Most keys will eventually wear down, and as a result, the key break inside the lock cylinder. Unfortunately, at the point of the deepest key’s cuts, which are the “weakest point” on your key blade. Before a key breaks, you should see a tiny crack by the cut about to give way. If you see a tiny crack on the key, or if the key is bent, call LockTech24/7 as soon as possible and get another key made. Whether you need to extract your car keys or your house keys, we are here to help. A broken key extraction service is available any time, day or night. If you’ve broken your key inside the lock, you’ll need a key extraction expert. 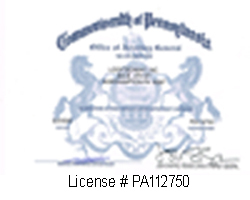 Among our emergency house locksmith services, we can help you, too. While this process sound to be easy, it can be quite a pain trying to remove it yourself. Not to mention could cause further damage to your door lock. 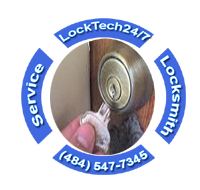 When you need key extraction services, you can rely on LockTech24/7 to come to your assistance right away.